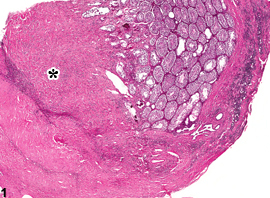 Testis - Fibrosis in a male Swiss CD-1 mouse from a chronic study. 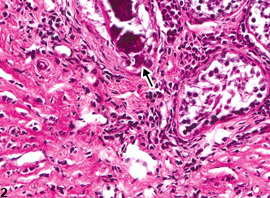 Fibrosis (asterisk) with extension into the tunica albuginea. 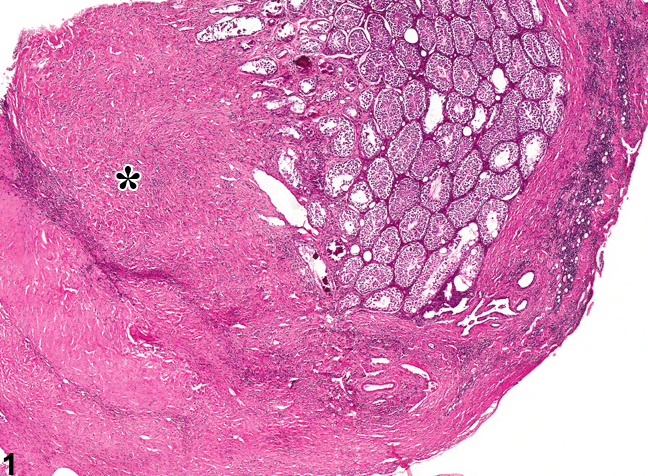 Testis - Fibrosis in a male Swiss CD-1 mouse from a chronic study. 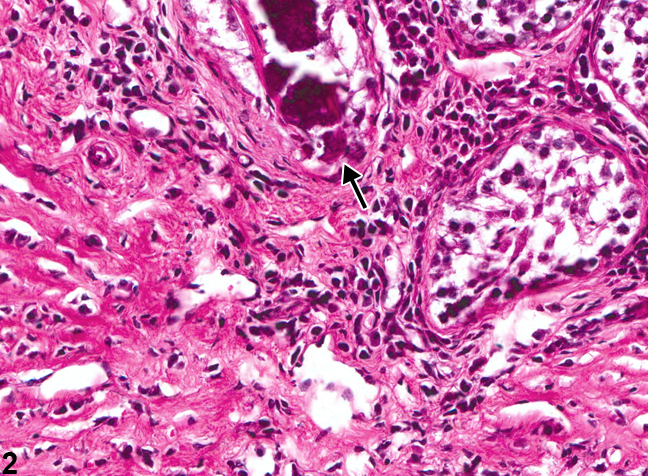 This higher magnification of Figure 1 also has dystrophic mineralization (arrow).